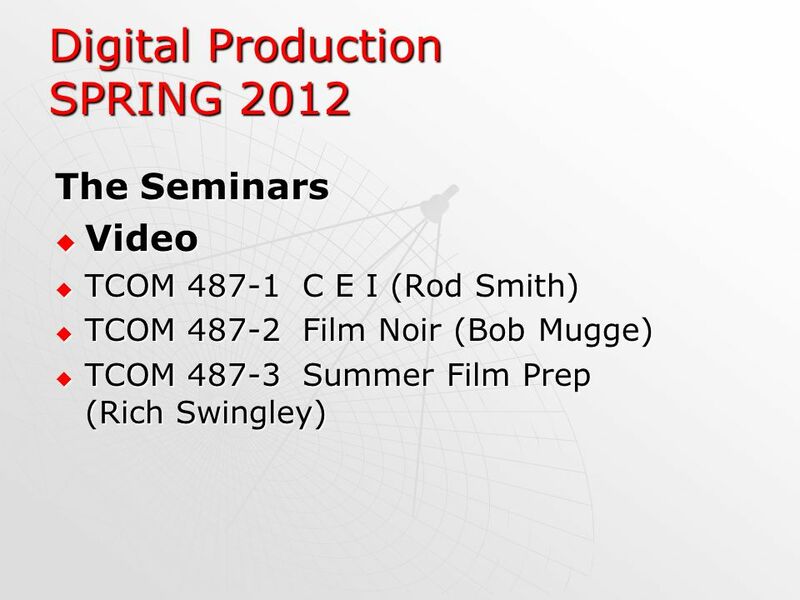 Student Information Spring 2012 Digital Production Film and Media Studies News Track Sales and Promotion Department of Telecommunications. 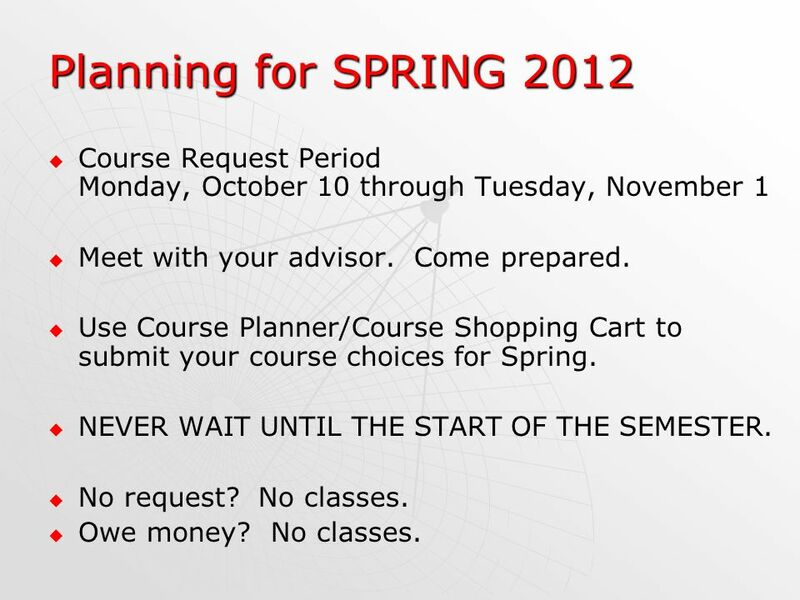 3 Planning for SPRING 2012 Course Request Period Monday, October 10 through Tuesday, November 1 Meet with your advisor. Come prepared. Use Course Planner/Course Shopping Cart to submit your course choices for Spring. NEVER WAIT UNTIL THE START OF THE SEMESTER. No request? No classes. Owe money? No classes. 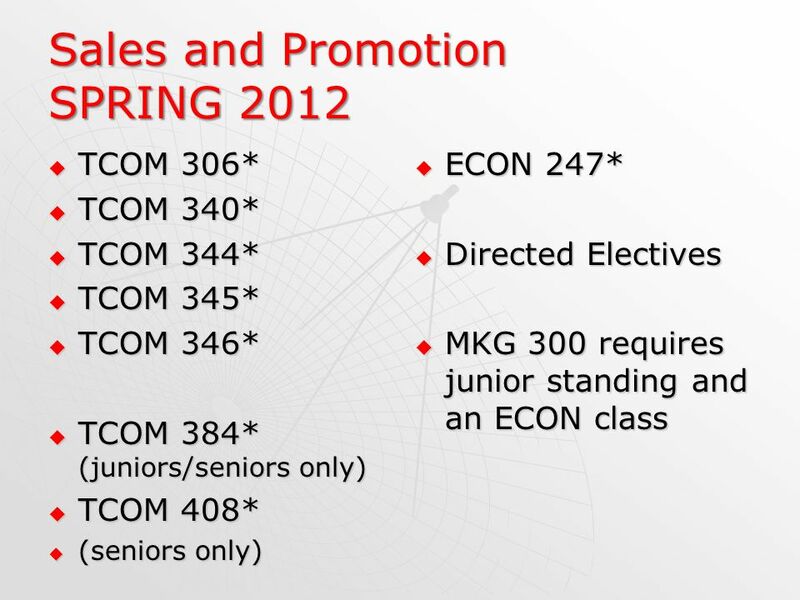 5 Sales and Promotion SPRING 2012 TCOM 444: Open ONLY to Production Options in Spring 2012 TCOM 444: Open ONLY to Production Options in Spring 2012 Graduating Seniors: TCOM 444 is NOT available in Spring 12 for Sales Options. Come see me if this is an issue. 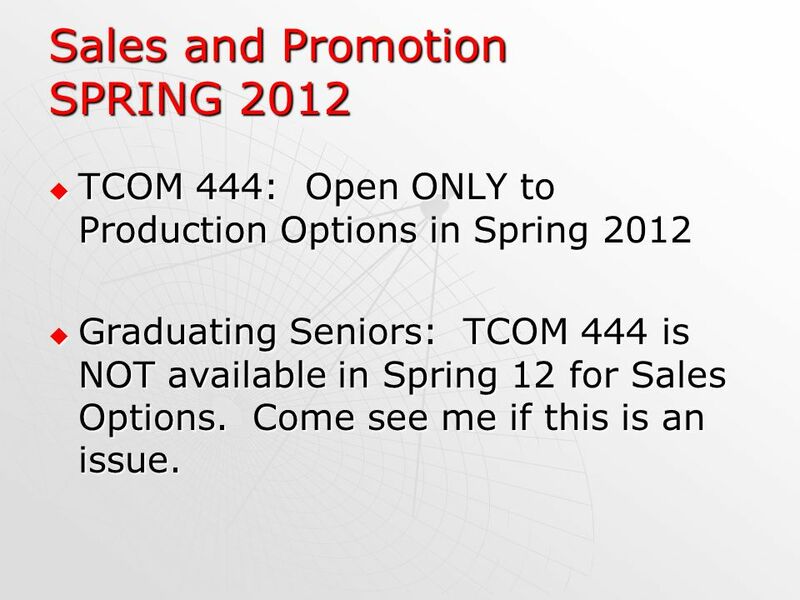 Graduating Seniors: TCOM 444 is NOT available in Spring 12 for Sales Options. Come see me if this is an issue. 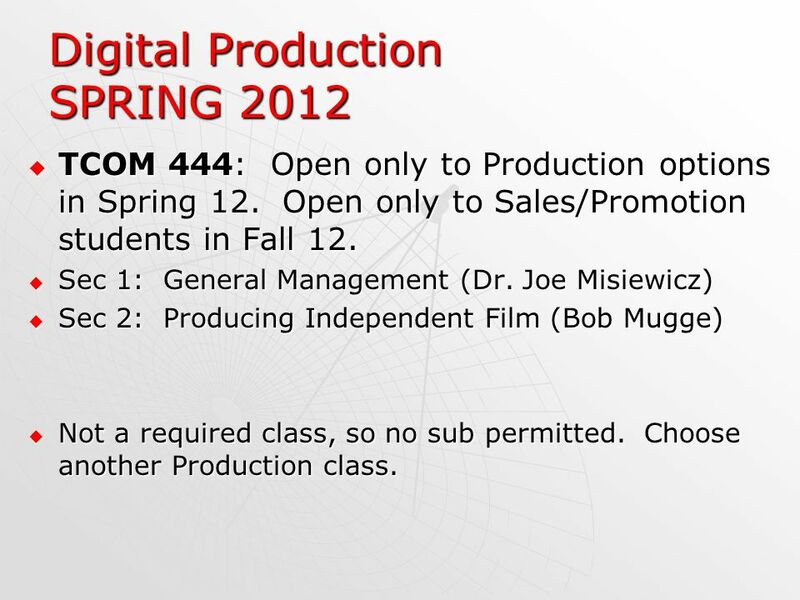 7 Film and Media Studies SPRING 2012 ELECTIVES: COMM 322 ELECTIVES: COMM 322 TCOM 330 and 332 are open ONLY to Production students. 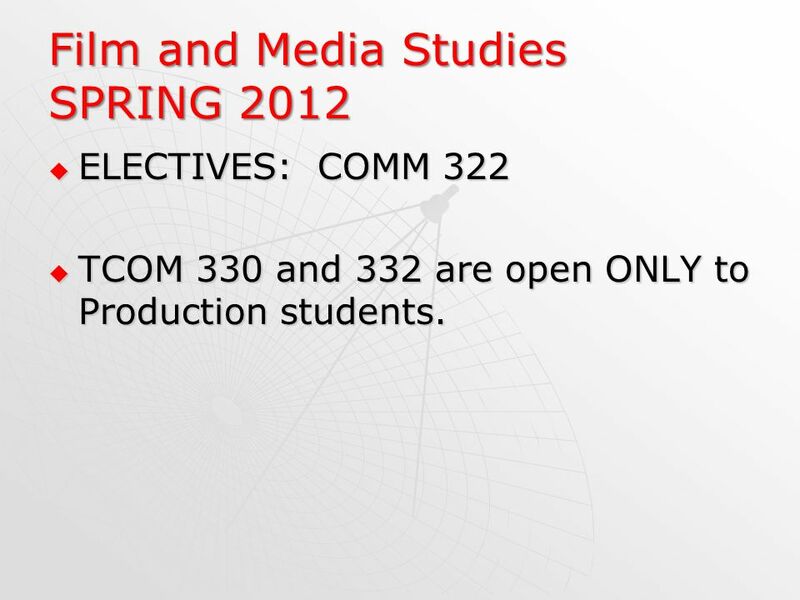 TCOM 330 and 332 are open ONLY to Production students. 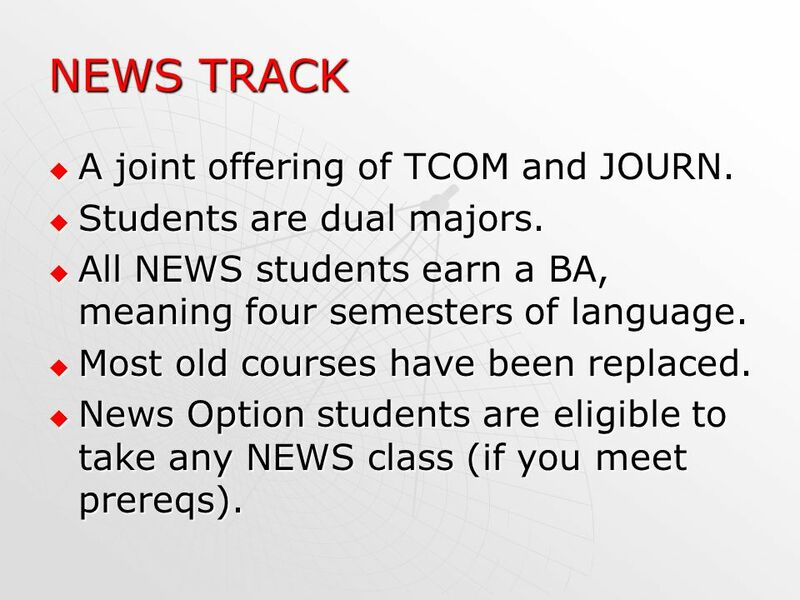 8 NEWS TRACK A joint offering of TCOM and JOURN. 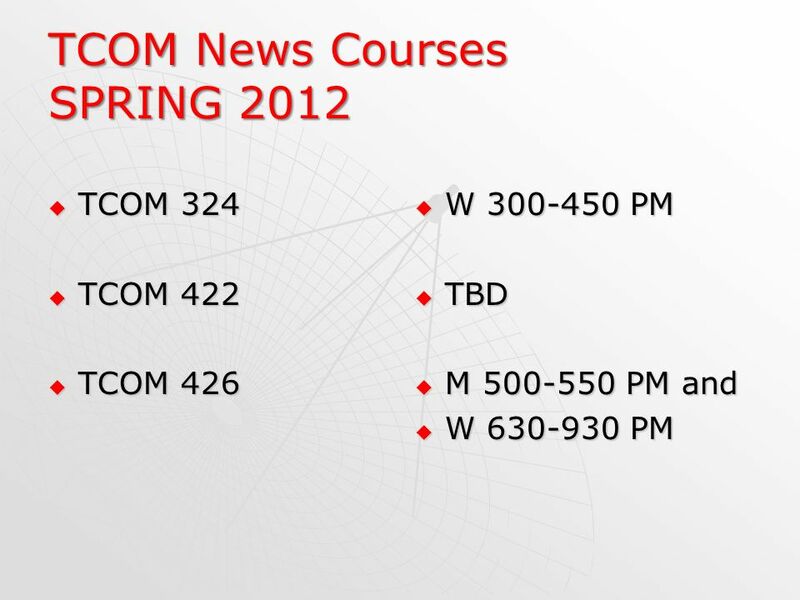 A joint offering of TCOM and JOURN. Students are dual majors. Students are dual majors. All NEWS students earn a BA, meaning four semesters of language. All NEWS students earn a BA, meaning four semesters of language. Most old courses have been replaced. Most old courses have been replaced. 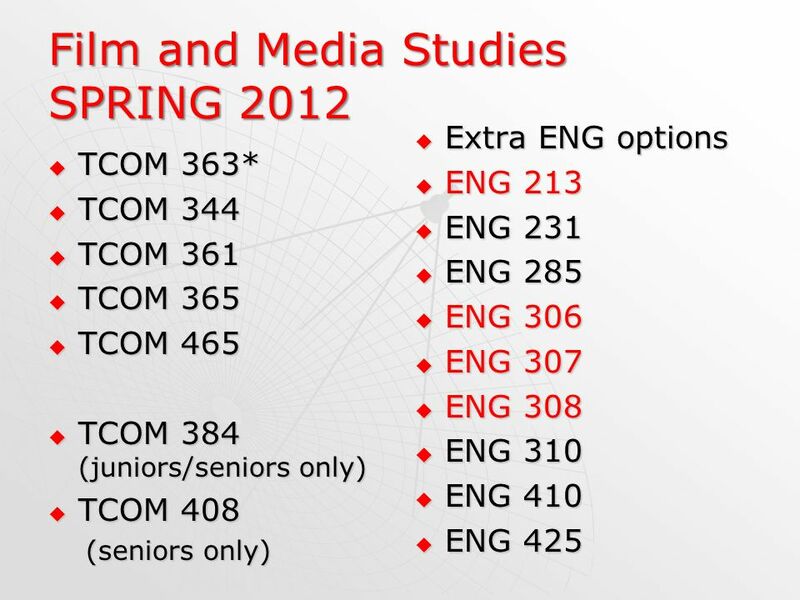 News Option students are eligible to take any NEWS class (if you meet prereqs). 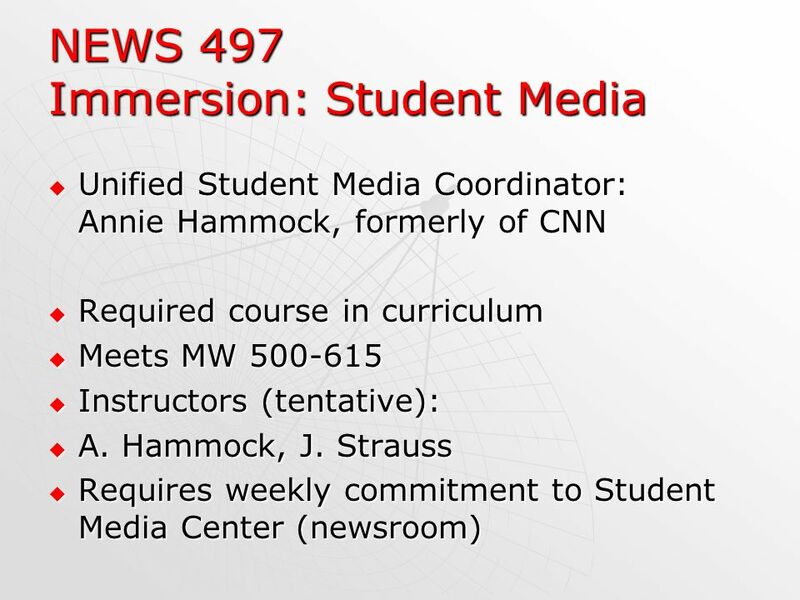 News Option students are eligible to take any NEWS class (if you meet prereqs). 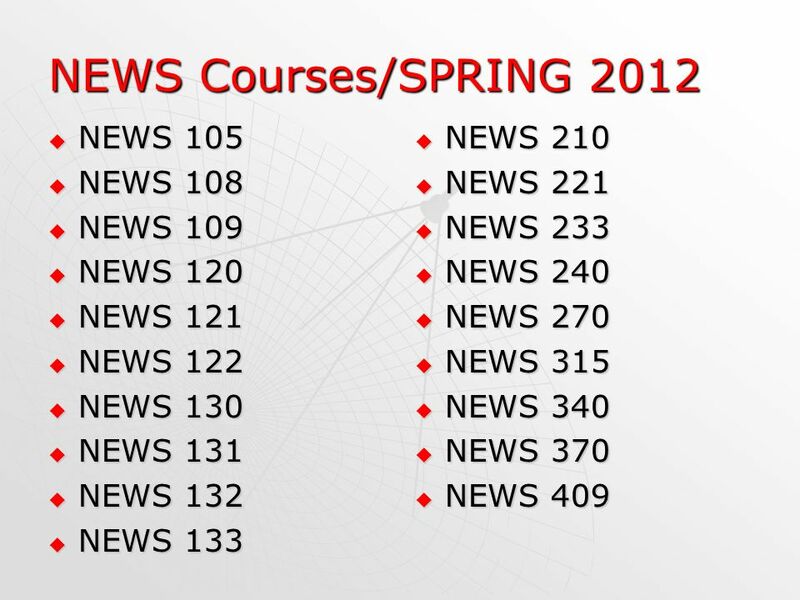 9 Course Equivalencies DAPRs of News OPTION students have been updated to reflect course equivalencies. 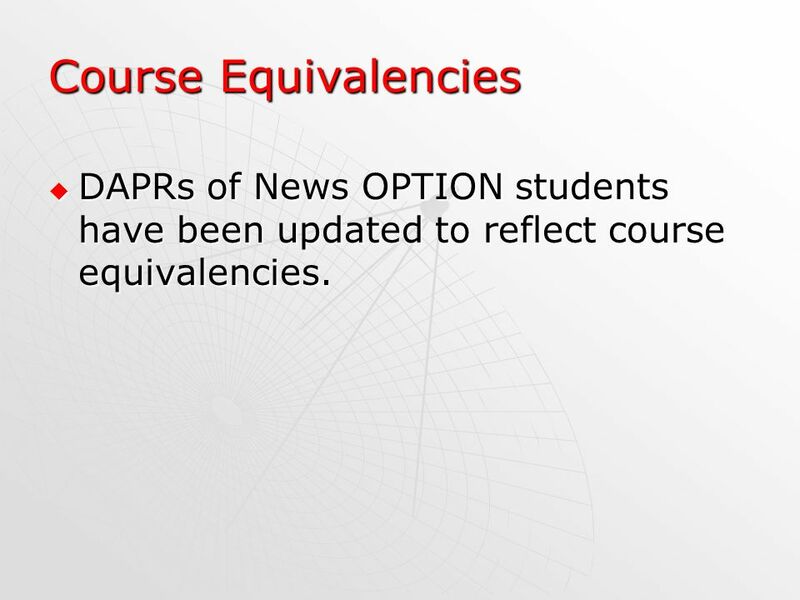 DAPRs of News OPTION students have been updated to reflect course equivalencies. 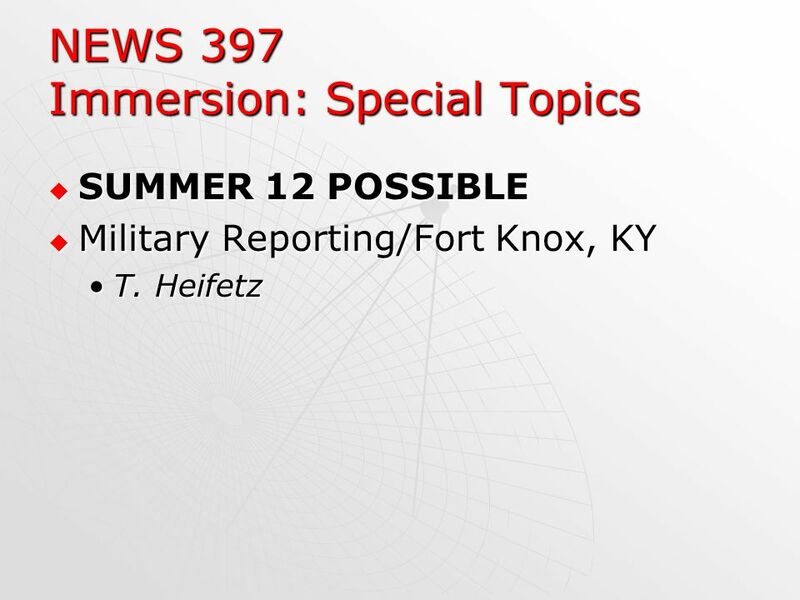 12 NEWS 397 Immersion: Special Topics Required course in curriculum. 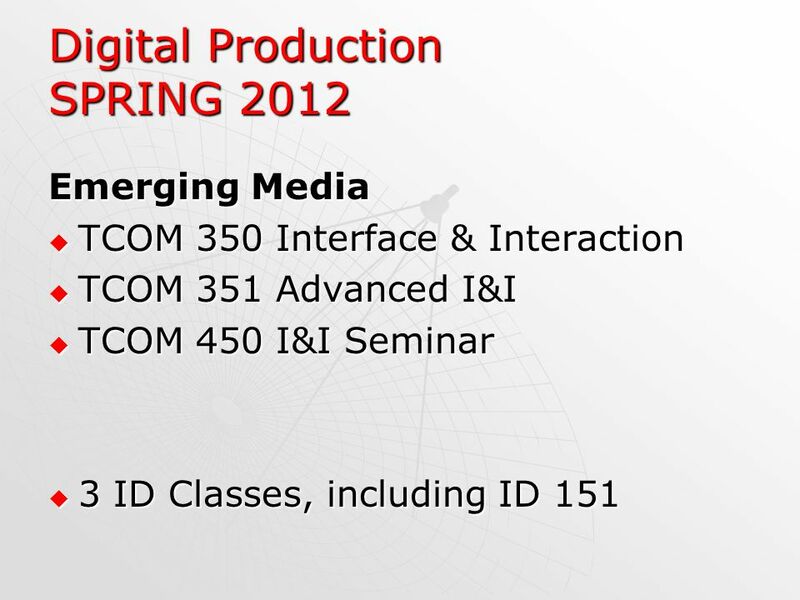 Required course in curriculum. Intensive semester-long research, interviewing and reporting on a particular contemporary topic. Intensive semester-long research, interviewing and reporting on a particular contemporary topic. Some travel may be required in some sections. Some travel may be required in some sections. 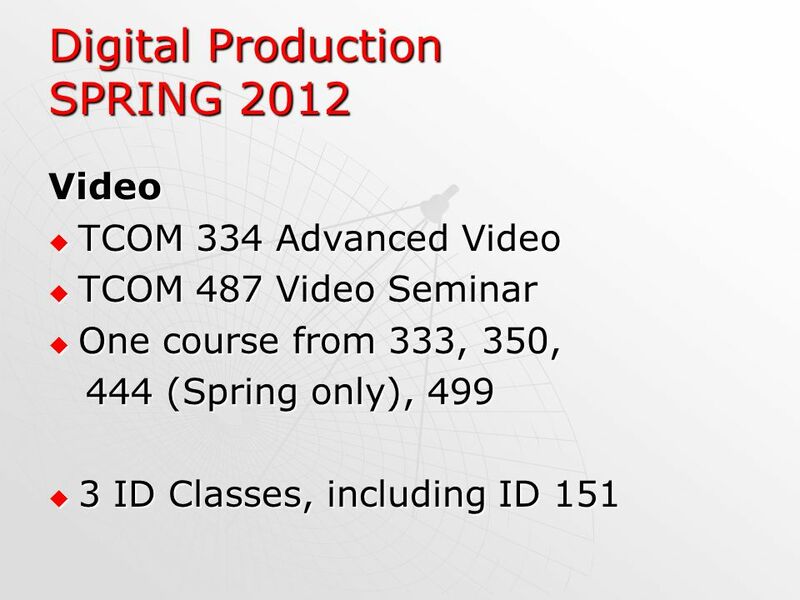 16 Digital Production SPRING 2012 The Production Gateway (9 hours) The Production Gateway (9 hours) TCOM 330 (4) TCOM 330 (4) TCOM 331 (online/1) TCOM 331 (online/1) TCOM 332 (4) TCOM 332 (4) Request same section of 330 and 332 Request same section of 330 and 332 MWF or TRF MWF or TRF Independent 330 and 332 classes are offered ONLY in Summer. 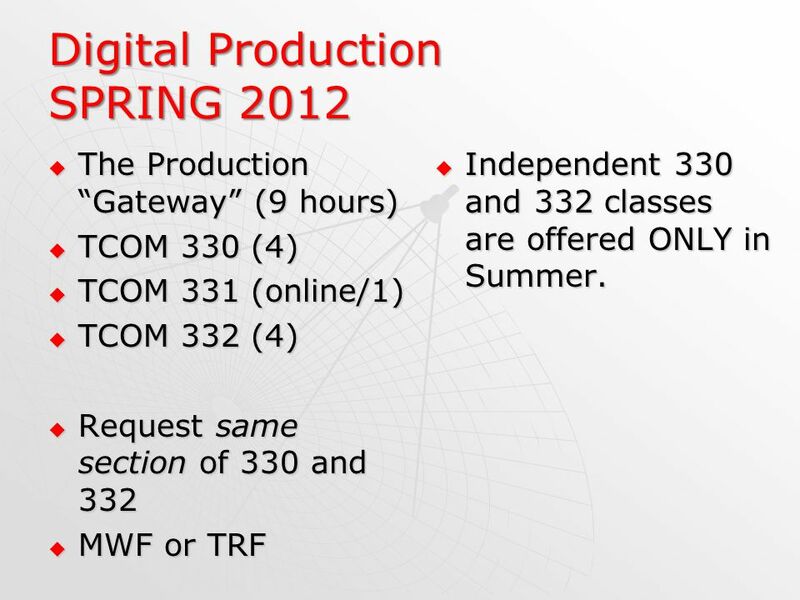 Independent 330 and 332 classes are offered ONLY in Summer. 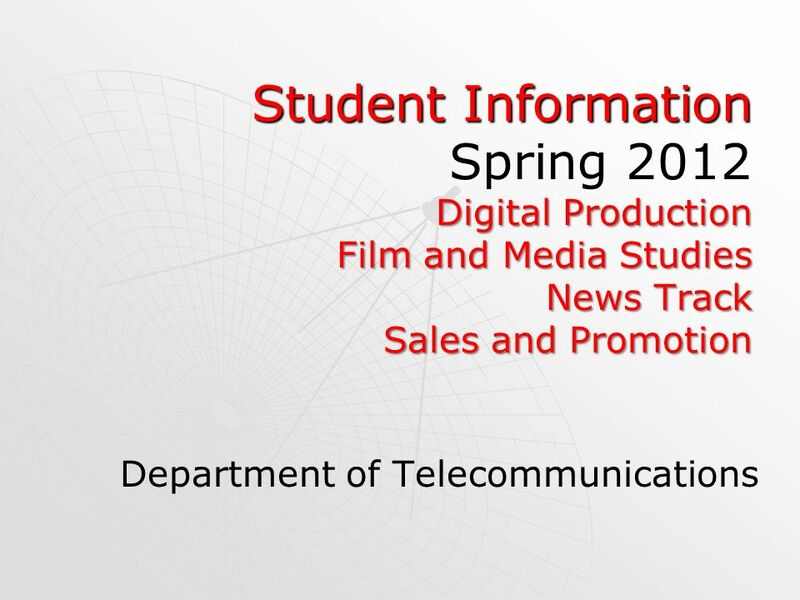 Download ppt "Student Information Spring 2012 Digital Production Film and Media Studies News Track Sales and Promotion Department of Telecommunications." LHS Online Course Registration. Our Goals for Today: Provide instructions so each student can successfully register for classes using Infinite Campus. Have you been a student here in the past? Are you under the age of 19? Have you already registered online? Click to continue. New Braunfels High School February 10, General Dual Credit Information Dual Credit programs allow eligible students to earn college credit for certain. 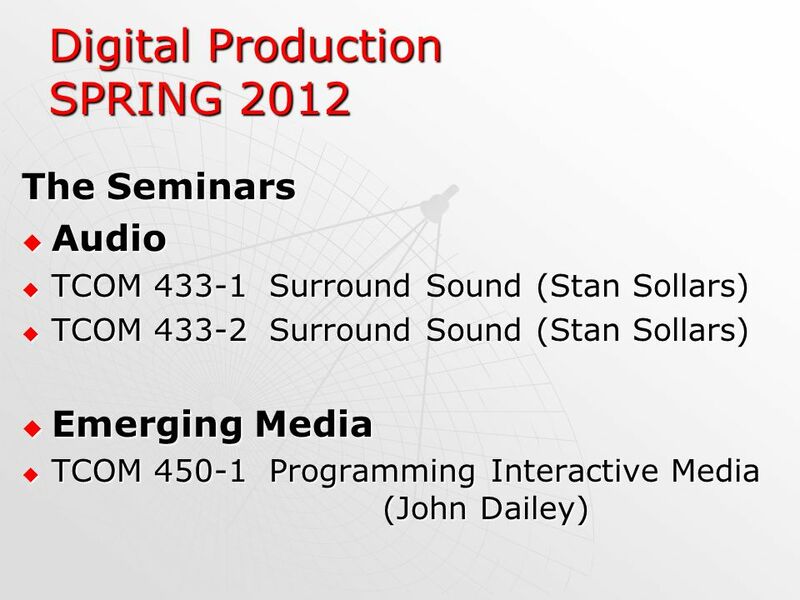 DUAL CREDIT PROGRAM 2009/2010 Pilot. Dual-Credit Objectives Develop a model that is highly coordinated and can be duplicated Create access for high school. Introduction: Credit Hours Credit hours needed for a bachelor degree in the United States are similar throughout the country. The most common degrees. Think. Learn. Succeed. The School of Art George Mason University Fairfax, Virginia Online information session for prospective freshmen and transfer students. 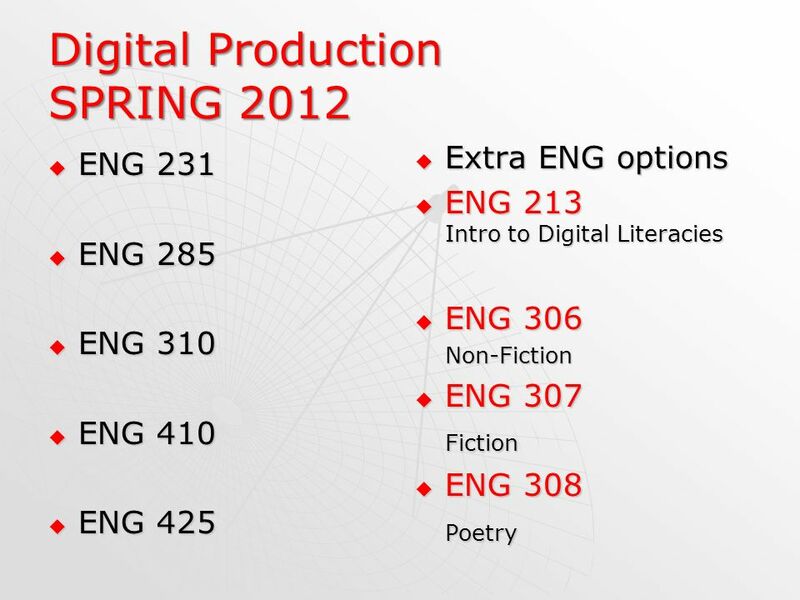 The Course Unit Curriculum in the English Department at Stetson An Introduction for Returning Students. 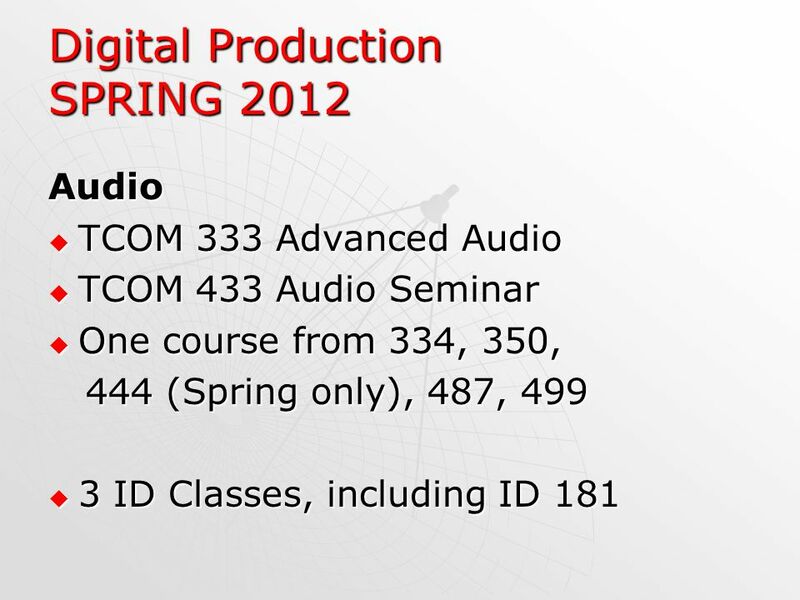 Fall 2011 Group Advising Information for Juniors. Copyright © 2008 Cengage Learning Understanding Generalist Practice, 5e, Kirst-Ashman/Hull 316. So, you think you’re graduating with a major in Biology... 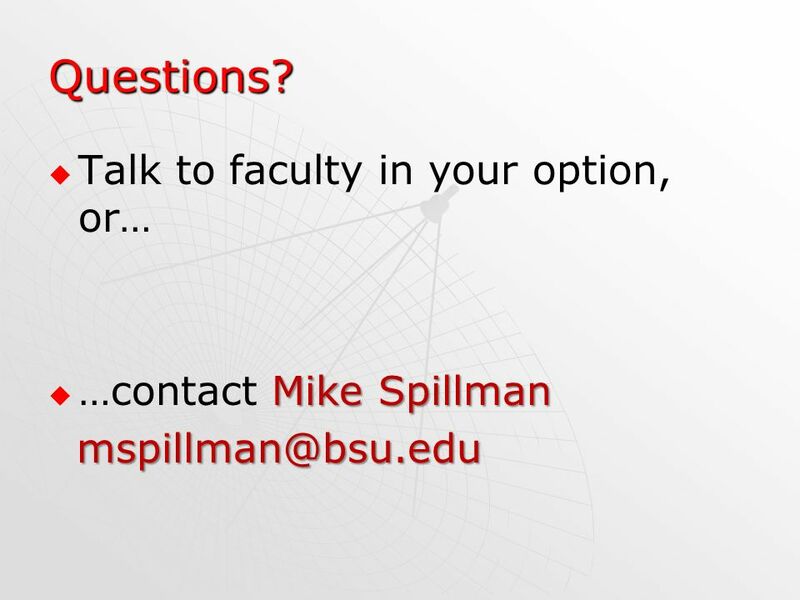 Advising for Seniors and Juniors Spring 2014. WHY SHOULD YOU STUDY ABROAD  Learn about yourself  Improve foreign language and cross-cultural Skills  Resume Builder  Take courses not offered at. Shorecrest Registration Class of 2013. 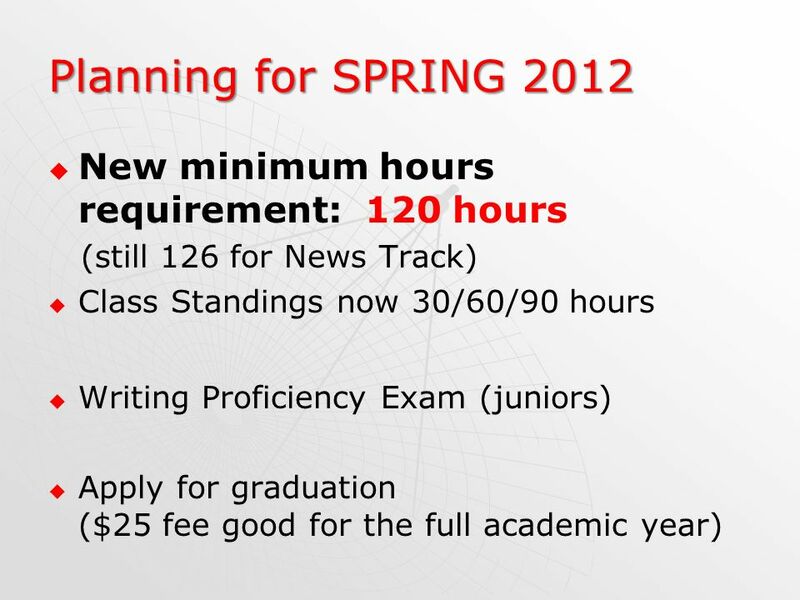 Plan Carefully To meet all graduation requirements and personal goals, each student must look at his/her program.